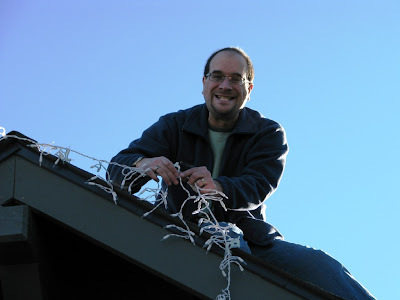 On Monday Brad's "Honey Do List" was to put up the Christmas lights. 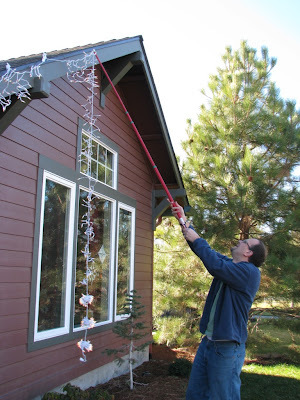 We found this nifty pole and clip system last year which makes things pretty easy. 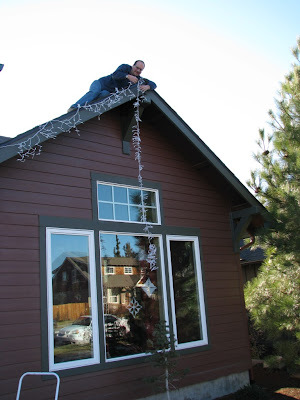 We weren't sure if we were putting lights on in Bend or Arizona, because it was 65 degrees!! See what fun a "Honey Do" list can be? It beginning to look a lot like Christmas. Hard to believe we are on the count down already. 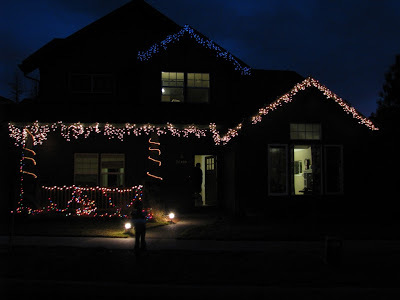 I love all the lites I love Christmas and all things festive!! Beautiful. When do you go for your tree?